Welcome to Lilkoye's Blog: NIGERIA SHOULD PREPARE FOR WAR--BRIG.GEN WILLIAMS OBENE. NIGERIA SHOULD PREPARE FOR WAR--BRIG.GEN WILLIAMS OBENE. 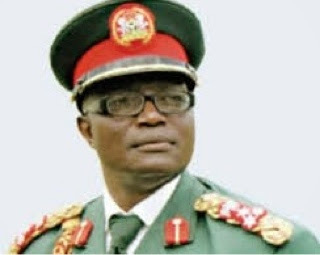 A former Commandant, Nigerian Army School of Infantry, Brig.-Gen. Williams Obene (retd. ), on Wednesday advised Nigerians that war is here and should be prepared to fight. Obene, who pioneered the Nigerian Army Counter-Terrorism and Counter-Insurgency Centre, told The Punch that the recent bomb attacks in Kano and Jos were signs of asymmetrical warfare such as insurgency. According to him, it’s unrealistic to expect security forces to bring Boko Haram insurgency to an end within the next six months earmarked for the extended state of emergency in Borno, Adamawa and Yobe states. He said, “The attacks on Kano and Jos did not come to me as surprises. In asymmetrical warfare, such as we are faced with, these things are to be expected. Nigerians need to come to terms with the fact that we are at war and it is not a conventional war, where the enemy can be identified. “Let’s not delude ourselves to think that we are going to use the military to stop the insurgency in six months. Obene predicted that Boko Haram would eventually infiltrate every part of the country and would be able to carry out attacks in any state. He urged Nigerians, irrespective of what part of the country they reside, to be vigilant and ready for war. “Politicians should stop deceiving Nigerians that this insurgency can stop in six months. This thing has come to stay with us for a long time. It took some other countries several years to deal with insurgency. “Ours might last up to 10 years, or even more because of the involvement of politicians,” he said.